Hawaii’s inviting tropical climate makes it the perfect place to grow lovely tropical plants and flowers from all over the globe. Shortly after Western contact, foreigners who came to live in Hawaii brought familiar plants with them from their homelands. A very small number of these plant species proved to be invasive, and have severely damaged Hawaii’s native plant communities. Hawaii’s native plants are quite beautiful themselves, and in recent years have been increasingly incorporated into constructed landscapes. At least 22 species of heliconia, from Central and South America, are now common sights in Hawaii’s landscape. Hotels and resorts have planted these large leafed plants for their unusual flowers, since the 1930s, to create the generic tropical look promoted in travel advertisements. Plumerias are small trees with highly fragrant flowers familiar to anyone who has ever visited a lei stand or a Hawaiian airport. These trees, much loved by Hawaiians for their abundant white, yellow, pink or red flowers, were introduced to the islands from the West Indies in the 1800s. One of Hawaii’s worst plant pests is a tall, spindly tree known as purple plague, or miconia. This tree was imported to the islands as an ornamental and grown for its large, velvety, green and purple leaves. It quickly escaped cultivation and spread throughout moist lowland native forests, displacing native plants. 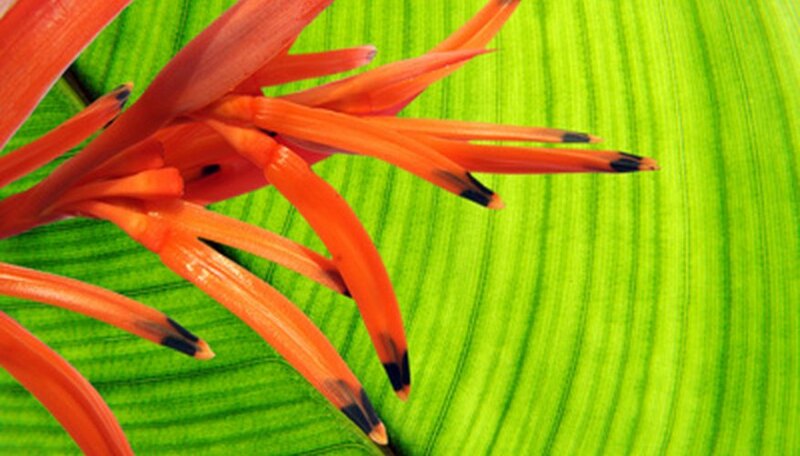 This plant is responsible for the loss of most of Tahiti’s native plants and animals. Strawberry guava is an extremely invasive small tree from Brazil, with glossy dark green leaves and tan, exfoliating bark. Originally brought to Hawaii for its tart, red fruit, which is used to make jellies, this weedy tree can be seen in large “dog hair” patches strangling remaining native forests in moist regions of all the main islands. Once the most common tree on all the major islands, the endemic native, Ohia Lehua, can still be found at higher elevations and in parks and forest reserves. This tree is an important source of food for Hawaii’s native birds, which drink nectar from its brilliant red, yellow, pink or white pompom like flowers. Beach naupaka is a light green indigenous coastal shrub, also found in Florida and throughout the tropical Pacific. This plant’s dainty white flowers look almost as if they have been cut perfectly in half, which is undoubtedly the source of the Hawaiian myth about two lovers who were forever separated by the jealous Goddess Pele. Several species of hibiscus are native to the Hawaiian Islands, including the only known fragrant hibiscus, the white flowered Kokio keo keo. Several other species of this hardy native, with red, yellow, pink or orange flowers, have found their way into Hawaii’s landscapes in recent years. Hawaii’s State and County buildings are excellent places to view native Hawaiian plants in cultivation, because a state law, approved in 1991, mandates that native plants must be included in all publicly funded building landscapes.